One of the great puzzles of human history is the rise of agriculture. So far as we can tell, peasants had lives no better than those of hunter gatherers, at least in the sorts of rich environments where agriculture began. And farming is hard work. So why did they do it? Maize, suggests Michael Blake, an archaeologist who specializes in agriculture, may have been one of the earliest sources of alcohol in the region. This, at least, is his solution to a puzzle revealed by the past half-century's ingenious research into plant domestication. . . . 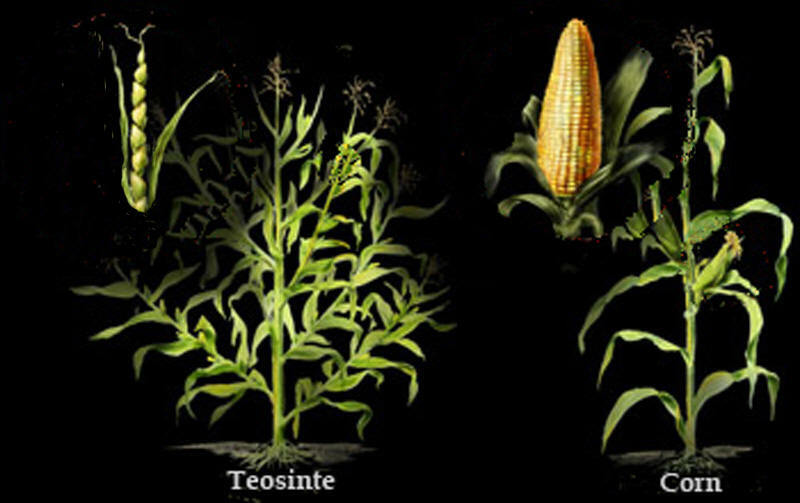 The early history of maize, these scientists have shown, is quite different from that of Old World wheat and barley. Before farming, wheat and barley had grains that were worth harvesting. And because humans quickly mastered techniques for transforming raw grains into porridges, breads and beer with mortars, grindstones, pots and ovens, wheat and barley became dietary staples. By contrast, maize's wild ancestor, teosinte, a bushy grass that still grows in west central Mexico, has grains so tightly sheathed that they are impossible to turn into food. A mutant proto-maize appeared around 7000 BC, and, mile by mile, farmers spread it north and south. . . .
Why did they do this? Not until round 3,000 to 4,000 years ago did societies have the complete set of tools -- cooking pots, colanders, flat grindstones and griddles -- to cook maize in an alkaline solution, the necessary preliminary to preparing nutritious pounded grains or flexible dough. If maize was not a staple food, what then was its appeal? Undoubtedly, a treat of fresh ears at harvest time was enjoyed, but that does not explain its spread. Blake's suggestion is that it was not the grains, but the sugary sap of the stalks, which people were after. This could be turned into alcohol, an easier process than turning grains into beer. The brew he and his friends concocted from chopped and pressed maize stalks was, if not delicious, refreshing and inebriating. I find this persuasive, at least as a partial explanation. All the evidence shows that people will work harder for drugs that change what it feels like to be alive than we will for anything else. Mild drugs like beer, wine and coffee are especially prized, and have been the most widely traded substances in many economic systems. I would like to see some good evidence that corn really was used in this way, but in the mean time I think Blake's theory is better than any other explanation I have seen for the early spread of maize.